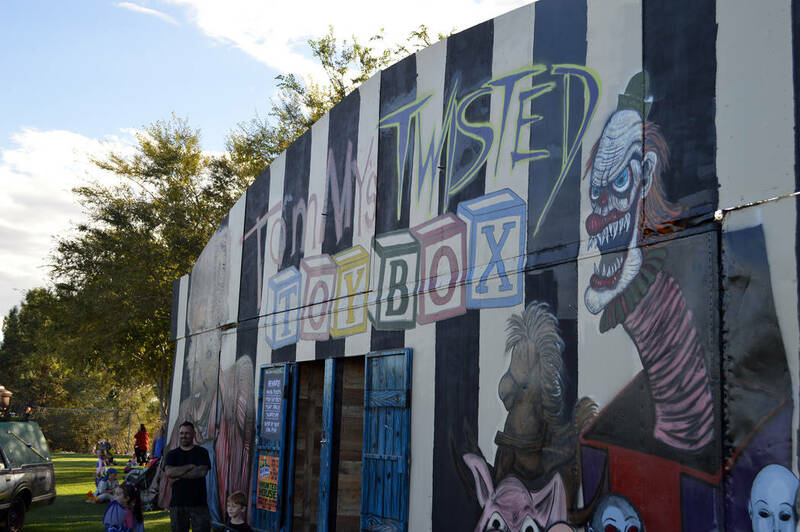 1 SAY BOO: Tom Devlin’s Monster Museum, 1310 Boulder City Parkway, will present a haunted house Friday, Saturday and Sunday. Hours are 7-10 p.m. Tickets are $15 and can be purchased by visiting http:// tomdevlinsmonstermuseum.com. Call 702-294-1313 for more information. Celia Shortt Goodyear/Boulder City Review Tom Devlin’s Monster Museum, 1310 Boulder City Parkway, will present a haunted house Friday, Saturday and Sunday. Hours are 7-10 p.m.
Hali Bernstein Saylor/Boulder City Review Nevada State Railroad Museum, 601 Yucca St., will offer a Halloween Express on Oct. 27 and 28, 2018, that will include a train ride and costume contest. 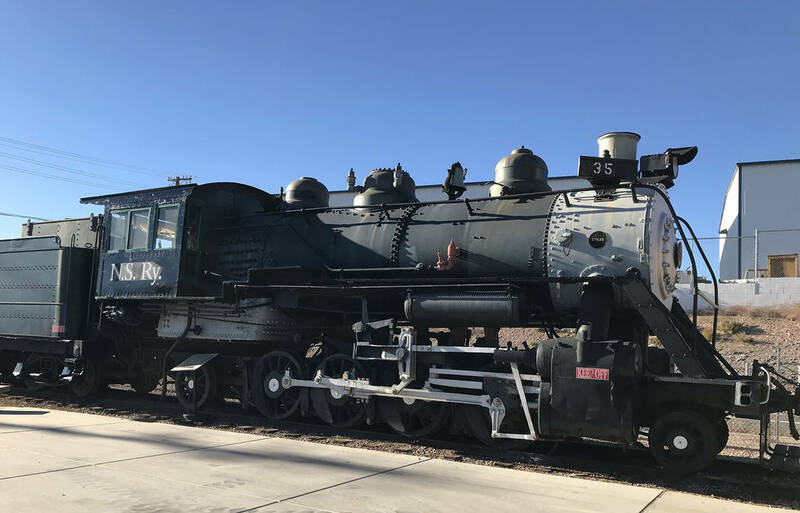 2 HALLOWEEN EXPRESS: Join the Nevada State Railroad Museum and Friends of Nevada Southern Railway for a spooky train ride on Saturday or Sunday. Children in costumes will ride free. Trains depart 10 and 11:30 a.m. and 1 and 2:30 p.m. Tickets for those 12 and older are $10. The depot is at 601 Yucca St. Visit http://www. nevadasouthern.com for additional information. 3 I SCREAM, YOU SCREAM: The Homestead at Boulder City will host an ice cream social at the Senior Center of Boulder City at 1 p.m. Friday. The center is at 813 Arizona St. Call 702-293-3320 for details.